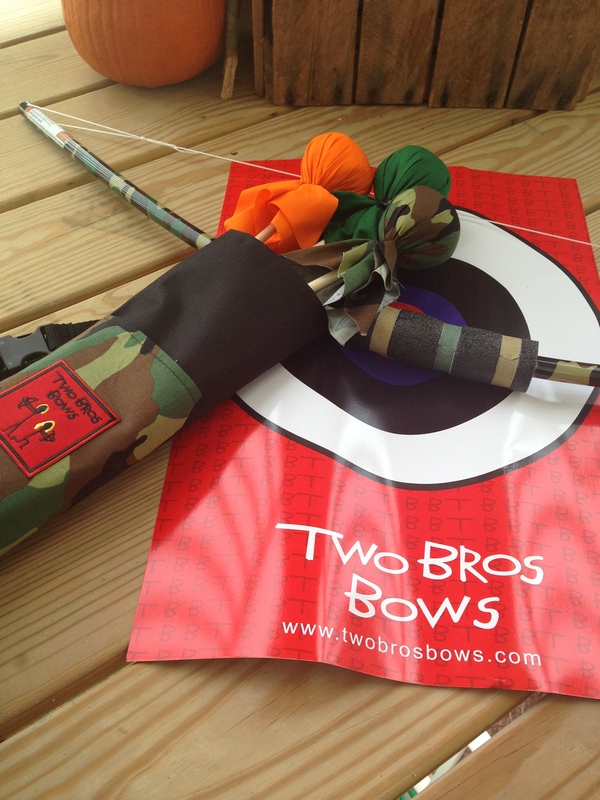 Two Bros Bows products are individually made, hand crafted, high quality bows, arrows and quiver bags. They are assembled in the US and whenever possible the materials are also US made. Duncan and Hayden are the real boys behind the Two Bros Bows logo and their motto has always been “Work hard, Play hard”. At the ages of 10 and 7 these two young brothers started their own company. Now selling nationwide, they put a percentage of each sale into their education fund. The boys encourage all to aim high and follow your dreams. it’s an ancient sport that’s a FUN pastime today. The design of this archery set is pretty simple and “aimed” at being safe. The arrow is a dowel rod with the arrow head being a fabric covered foam ball. 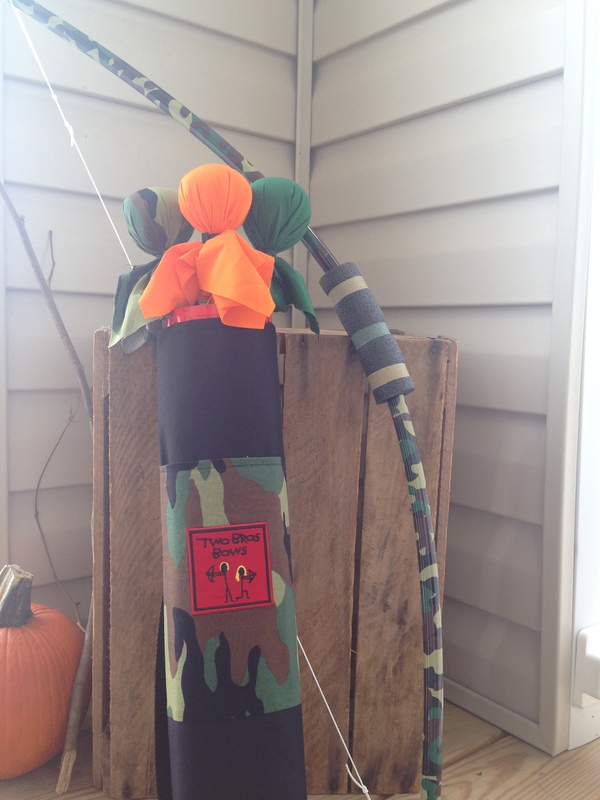 There are several fabric choices available for bows, arrows, and quiver bags. Recommended for ages 6+, they are easy to shoot and go really far. Notes From Dawn received an archery set from TWO BROS BOWS in exchange for an honest review. A positive review is not guaranteed, and all opinions are my own. No other compensation was received. I’d like to thank Mark Peachy for allowing me to review and share his fences here on the blog. It is truly a find as you won’t get anything comparable in retail stores. 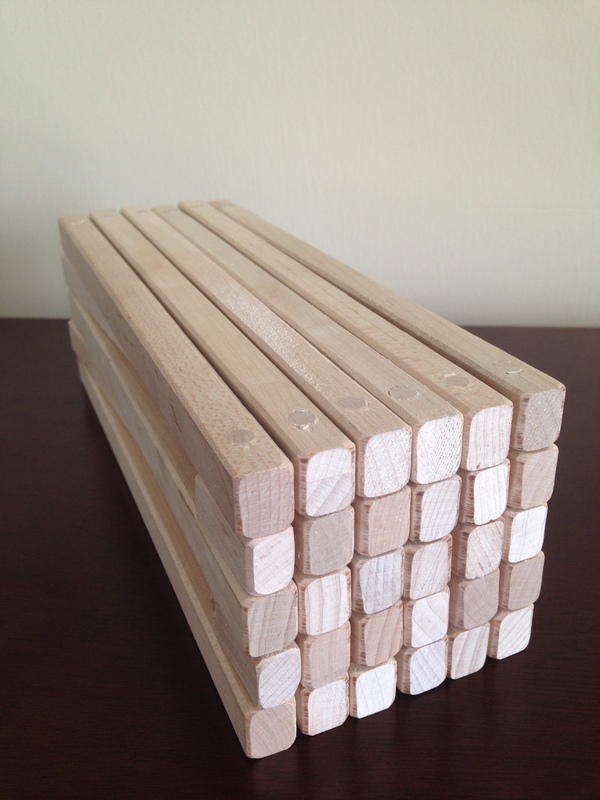 The fence has 11 sections that each measure 10″ for a total length just over 8′. (height is a bit over 3″) The fence easily folds into a rectangle block for compact storage. 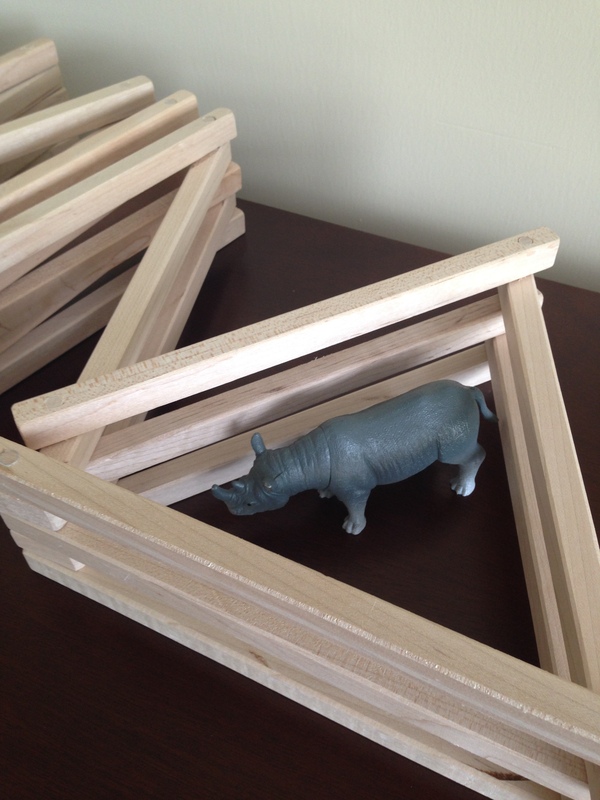 Each fence section is joined by wooden dowels and the flexible sections bend (both ways) into whatever shape you want. Round like a corral or partitioned off different ways. And the most important part is that it WORKS. This fence stands easily on its own. Even on carpet. I am a residential remodeler. I have always made things for our house and stuff for the kids. About two years ago I had a stroke that paralyzed my left side. I have recovered a lot of movement, but it still limits the remodeling that I can do. So I try to sell projects that I have made for the kids and that we enjoy. The fence is similar to what my amish grandfather had made for me. So I made some for my children and there cousins and the fences are enjoyed by all. Wonya. My daughter Andrea could not pronounce her name correctly when she was young. It came out as Wonya. I thought it was cute and have always liked the name since, so that is where the business name came from. Misc. information. This is a family owned/run business. I guess it would be consider a hobby turned into a business. One reason I have made items for our family (besides saving $) is usually the quality is much better than what you can get at Walmart or other discount stores. Notes From Dawn received a fence from Wonya Wood in exchange for an honest review. A positive review is not guaranteed, and all opinions are my own. No other compensation was received. The Eco-friendly alternative to atrocious plastic utensils. I’ve had the pleasure of using their wooden cutlery in our away-from-home lunches. What a treat! They are made of sustainable harvested birch wood and they are 100% natural with no coatings, waxes, or chemicals. 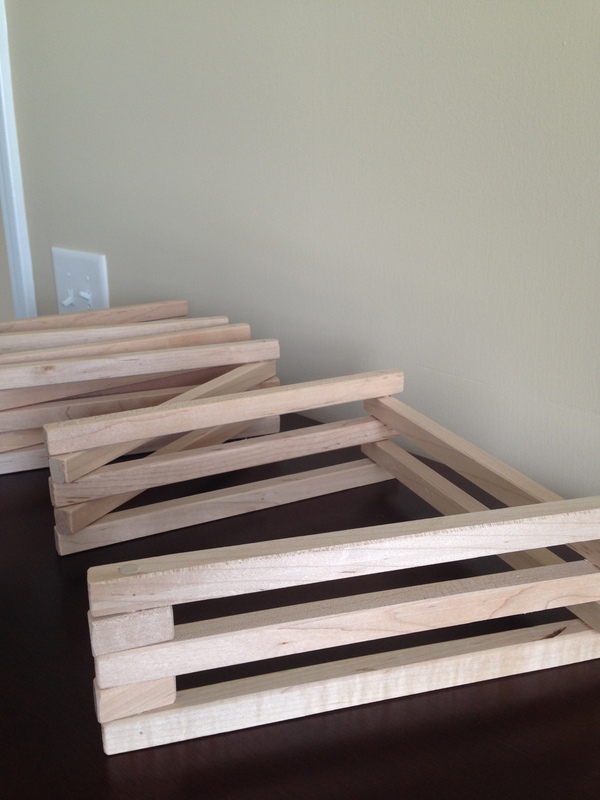 They are very smooth and sturdy with no splintering or roughness. I love that they are biodegradable, renewable, and sustainable. Definitely more stylish than plastic. So, besides using them for casual outings, they would be a refined choice for a wedding reception, holiday party, or any other get-together when you need a disposable and want an up-scale look. Good for kids play kitchens, too. 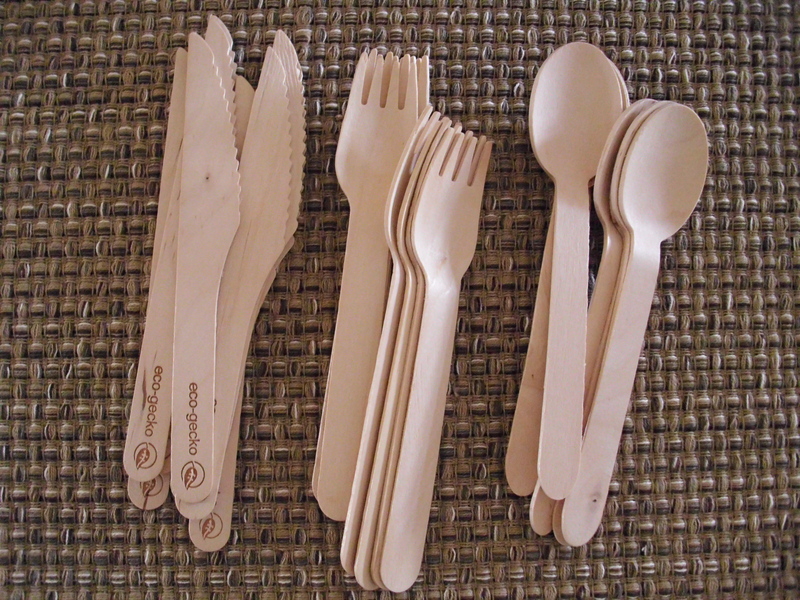 Eco-Gecko’s wooden cutlery won’t leave footprints; just a lasting impression. 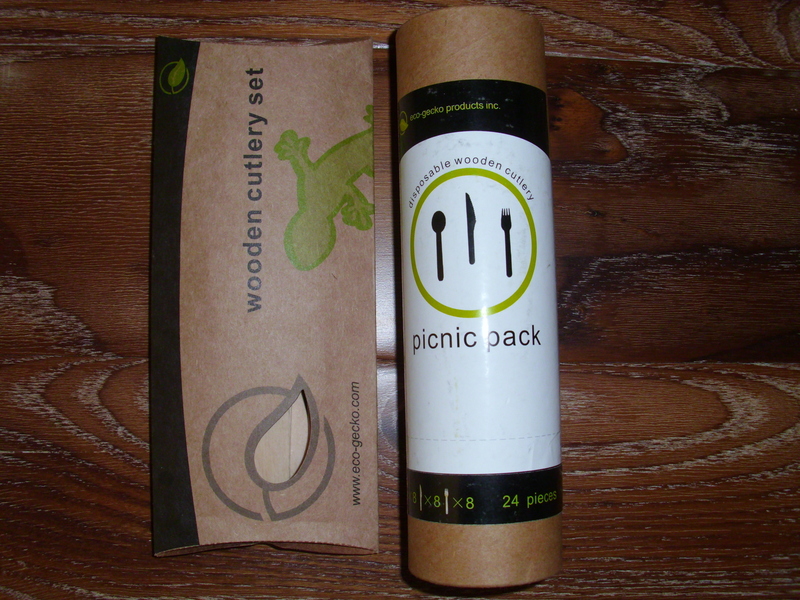 I received wooden cutlery from Eco-Gecko in exchange for an honest review. No other compensation was received. No job is too big for the world’s most environmentally friendly tool kit! This awesome 15 piece set includes a tool box, phillips screwdriver, flat screwdriver, hammer, saw, wrench, pliers, 2 two-hole connectors, 2 nails, 2 bolts, and 2 nuts. 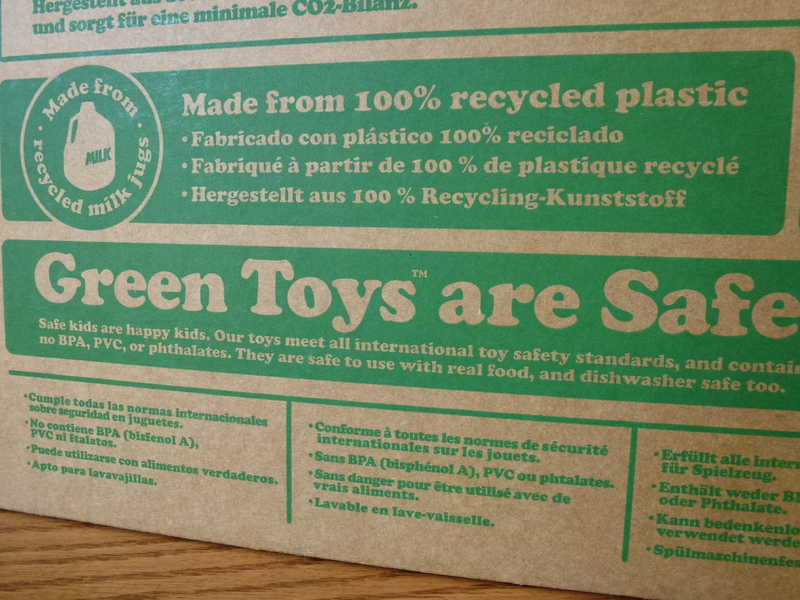 The Green Toys® Tool Kit turns work into Good Green Fun™! NO batteries needed. 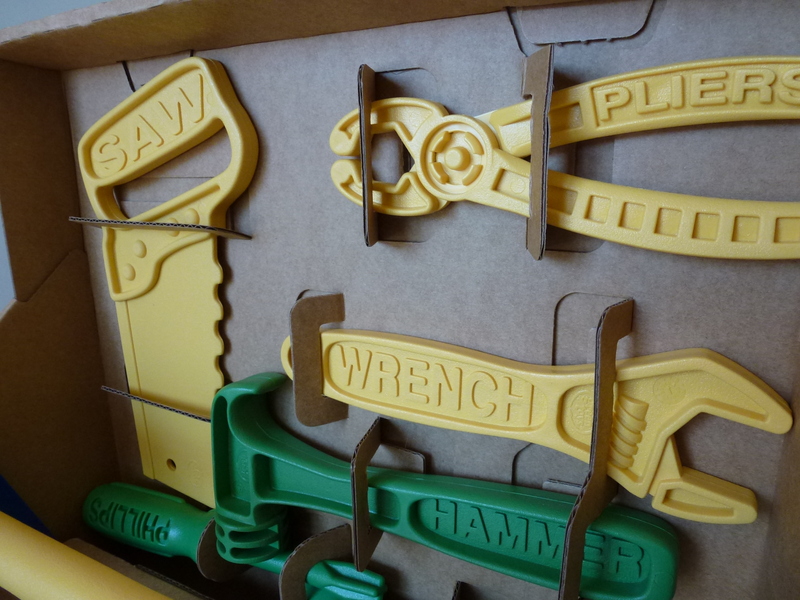 This tool set is recommended for ages 2 and up. My 14 month reviewer showed interest in this toy and it looks like it’s going to be a fun way to develop his imagination and fine motor skills. Sturdy plastic that’s surprisingly lightweight. No sharp edges. Usefulness – There are twelve screw holes on the tool box but only two screws. I’m needy and want a few more. Also, I don’t like the design of the nails. Dad’s opinion is that they look like concrete form pins. But really, only someone with previous experience in the poured wall business would say so. I received a Green Toys® Tool Set to help facilitate the writing of an honest review. A positive review is not guaranteed and all opinions are my own. No other compensation was received.